In the previous post, I have introduced Must-Eat foods in Kyoto. Kyoto is also the best place to enjoy traditional Japanese sweets called Wagashi. The Japanese traditional sweets are not only delicious, but also look beautiful.They are not too sweets and tend to be healthier than western-style sweets. If you get tired after walking around Kyoto, take a break at the Sweets Shop! I’ll be introducing a ranking list of Top 10 Must-Eat traditional sweets in Kyoto. Top 10 Must-Eat traditional sweets ranking in Kyoto! 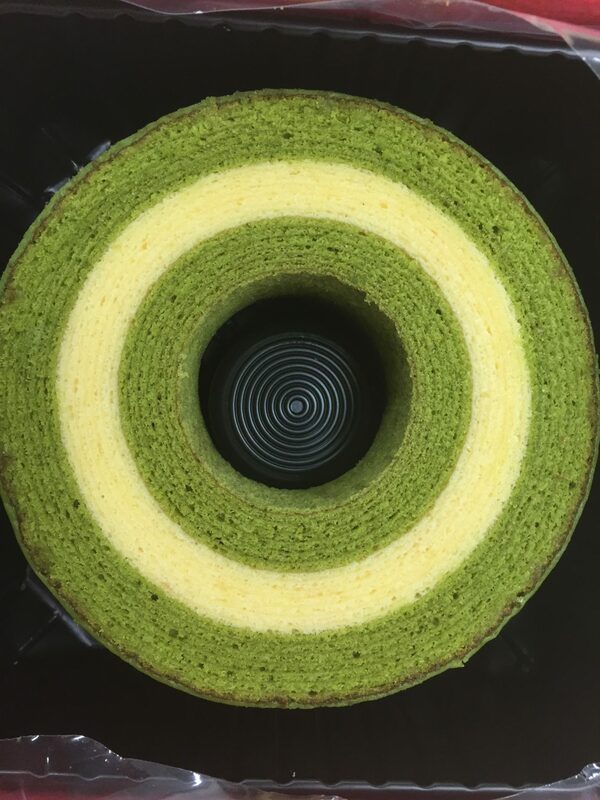 ​Kyo Baum is a Baumkuchen made by using soymilk and matcha, giving it a colorful gradation of green and white. 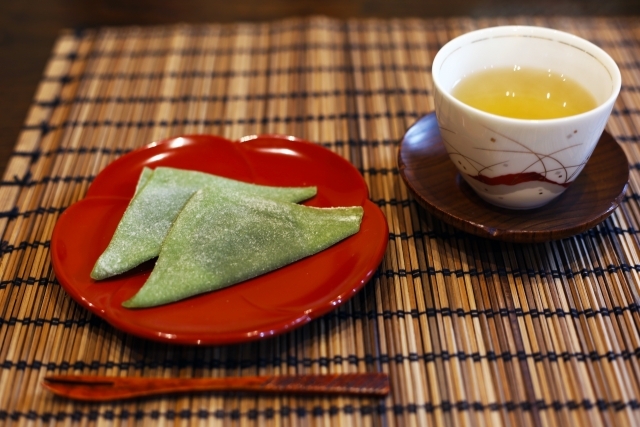 It is soft and moist with a rich matcha flavor. It is covered with a thin layer of sugar syrup and is available in 3 different sizes (half of 3.5cm roll, 3.5cm roll, and 5.25cm roll). It can be purchased in a lot of places including Kyoto station and Kansai International Airport. ​A cool, summer sweet dessert made only with kuzu powder, sugar, and water. 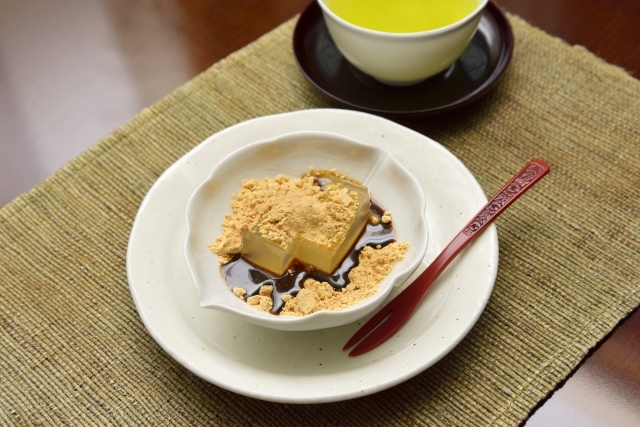 The sticky mochi balls are usually served with brown sugar syrup and kinako powder toppings. Gion Tokuya located in Gionmachi Minamigawa serves delicious Kuzumochi, which always makes long lines of people waiting in front of the shop to have a taste of the delightful sweets. 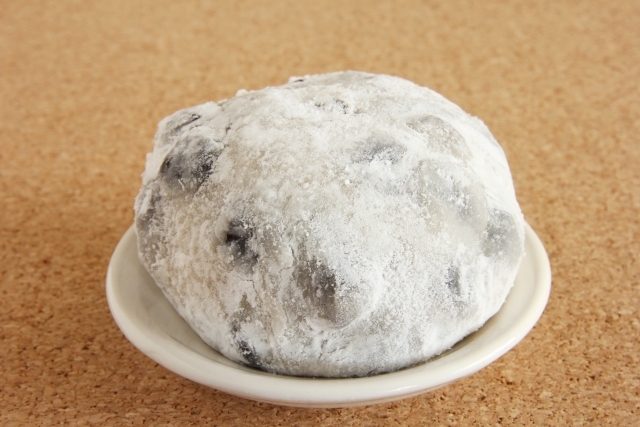 ​Mame Daifuku, sometimes called Mame Mochi, is a Japanese mochi sweets usually stuffed with sweetened bean paste called anko, also including bits of Endo beans. Demachi Futaba is one of Kyoto’s most popular mochi shops, their sweets are just perfect, not too sweet with a great flavor. Demachi Futaba is famous not only for their Mame Daifuku but for the long lines of people that wait to buy it. ​With milky white chocolate sandwiched with matcha-rich cookies, Matcha Langue De Chat is definitely a must-buy, must-try dessert. They use high grade white chocolate inside,and high-quality Uji matcha-flavored delicate cookies outside. The crunchy cookie is a perfect match with this milky flavored white chocolate. 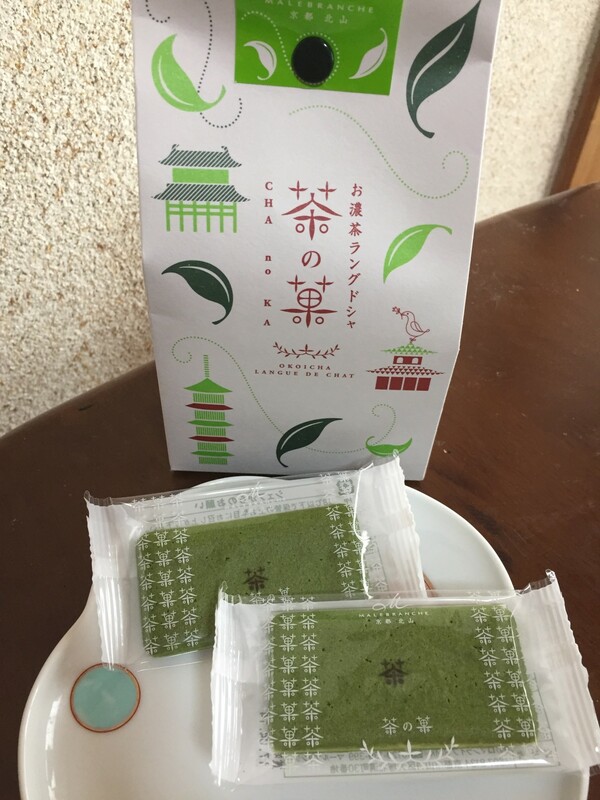 It is one of the most popular sweets bought as a souvenir of Kyoto, and it is highly recommended to buy at Malebranche where it is sold by the name ‘Kyo Chanoha’. ​Wagashi is a term used for a wide variety of Japanese desserts that is often enjoyed with tea. 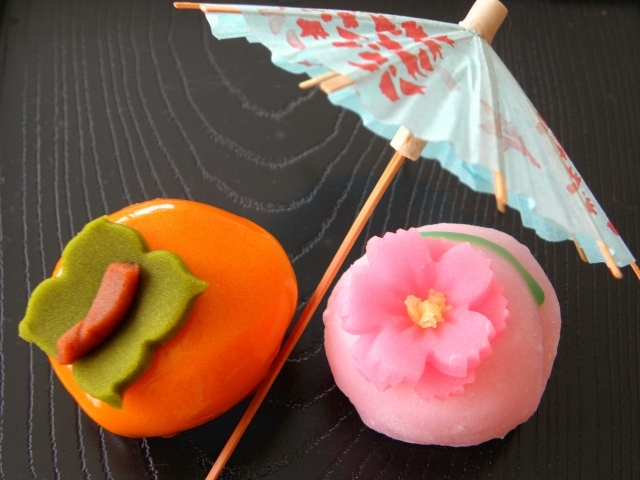 Mochi, Yokan, Manju, and Monaka are some of the representative types of Wagashi. Although Shojuken has only been open for 85 years which is fairly new compared to other sweet shops in Kyoto, the Wagashi that they create has sense of season with an alluring appearance and taste. The ‘Kimi Shigure’ is especially recommended to try for people who have never tried Wagashi before. ​Aburi Mochi is made of small mochi balls on a bamboo skewer that is topped with kinako powder, roasted, and once again topped with white miso paste sauce. It is said that it’s best within 3 hours of cooking. There are two famous sweet shops that specialize in Aburi Mochi, ‘Kazariya’ which has been open for 600 years, and ‘Ichiwa’ which has been open for nearly 1000 years, and both are located near the Imamiya Shrine. 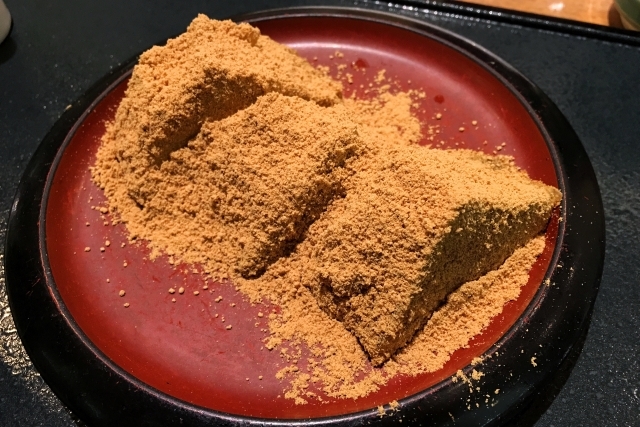 ​Small mochi balls are made with only starch, sugar, and water, and is then topped with kinako powder and brown sugar syrup. It is one of the most popular desserts during the summer. Gion Tokuya serves one of the best Warabi Mochi in Kyoto, and the most popular menu is the ‘Hon Warabi Mochi’. Please take note that Gion Tokuya is a very popular sweet shop and forms long lines on a daily basis. It is a shame Mitarashi Dango had to come so early in this ranking since it is our all time favorite dessert. 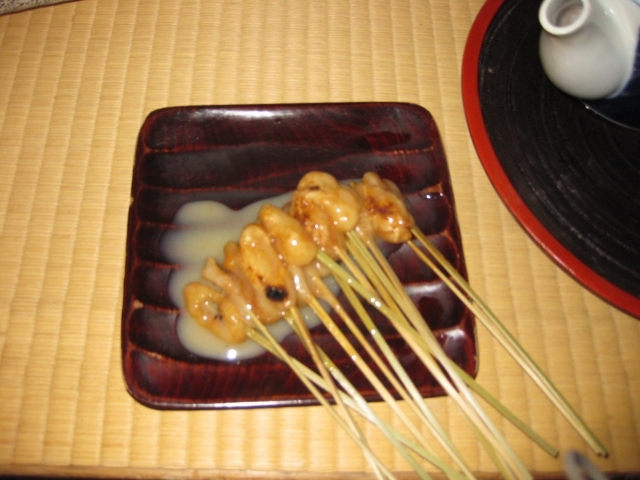 Small mochi balls on a bamboo skewer are roasted and topped with sugar sweetened soy sauce. 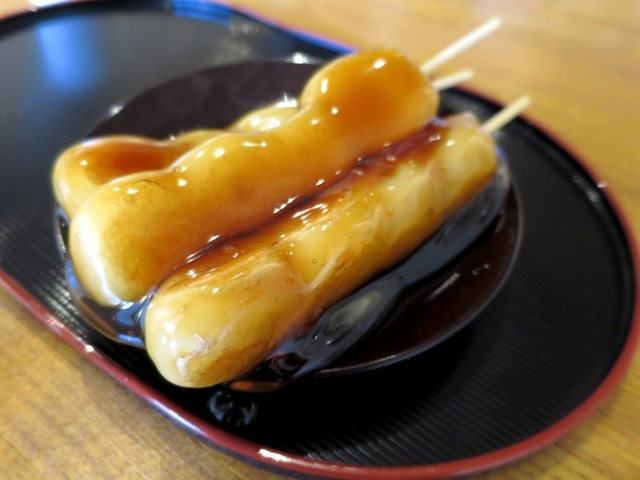 Mitarashi Dango originated in the Shimogamo Shrine area, and Kamo Mitarashi Chaya’s Mitarashi Dango is especially recommended. According to the Japanese myth, Mitarashi Dango expresses the shape of the human body, and so Kamo Mitarashi Chaya’s Mitarashi Dango is shaped in a creative way to symbolize the human body. Not only does it taste good, it entertains us in a lot of different ways. ​Nama Yatsuhashi is sold mainly as a souvenir sweet. Sweetened bean paste (anko) is wrapped with a layer of raw mochi. There are 3 different flavors: the raw mochi is seasoned with cinnamon, matcha, or sesame. By the way, just like other mochi products, Nama Yatsuhashi is totally gluten-free. People who are gluten intolerant can also enjoy this amazing dessert. It is certainly one of the best souvenirs from Kyoto. ​Last but not least, the number 1 MUST try dessert in sweets heaven Kyoto. Out of all the Matcha Parfaits in Kyoto, Tsujiri’s Matcha Parfait is definitely the best. 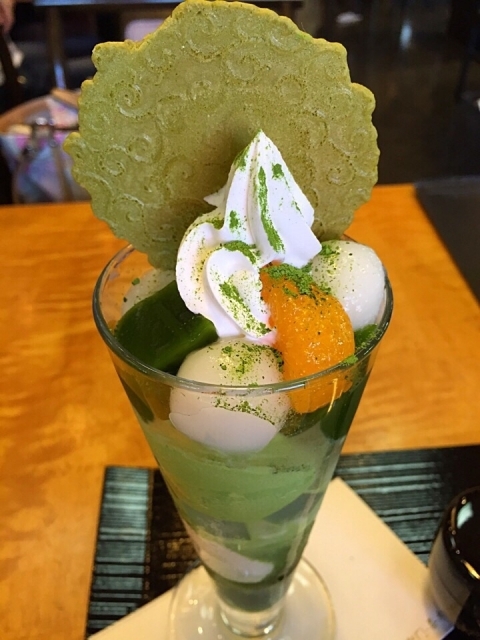 A tall glass is filled with shaved ice, ice cream, chiffon cake, and jelly all matcha flavored, with small white mochi balls called shiratama is added as a topping. Sure enough, this tastes amazing. Absolutely a must-eat when in Kyoto. You should try to have these traditional Japanese sweets, when you go to Kyoto! Local Guide:Nishiki Market in Kyoto!Top 5 Must Eat Foods and restaurant Local tells Top 5 best Sukiyaki restaurants in Kyoto! Local tells Top 5 best Tonkatsu restaurants in Kyoto! Local tells Top 5 Cooking Classes in Kyoto! Experience Japanese cooking! Local tells Top 7 Tofu Restaurants in Kyoto!From high-end to casual! Local tells Top 5 best Italian Restaurants in Kyoto!Have a great Italian Experience! Local tells Top 5 best French restaurants in Kyoto!Enjoy Kyoto-style French! Local tells Top 5 best Steakhouses in Kyoto!Enjoy Japanese premium beef!